Italy, 18th century. 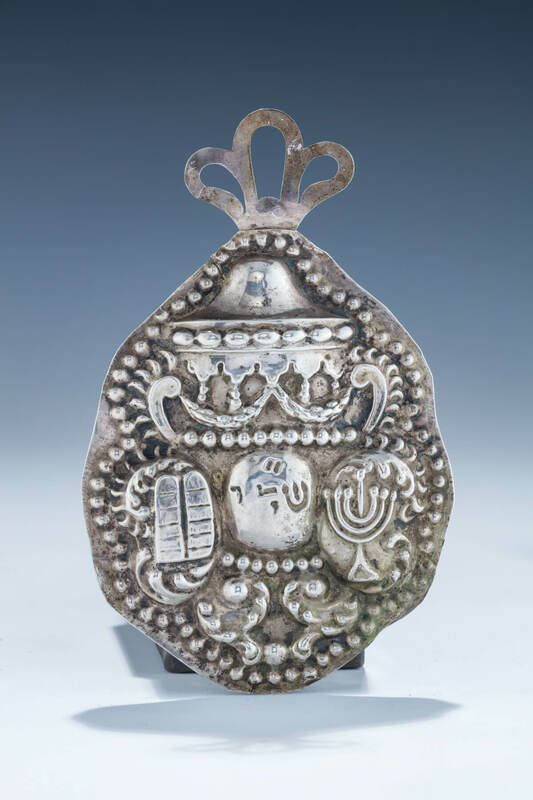 Hand chased with depictions of the menorah, the decalogue, g-d’s name, swags and beading. 5.6” tall.